Okay, I promise this will be the last film review on bit-tech for a while. But I think it's important to keep an eye on how games are presented and interpreted by wider culture and other mediums. This is because, historically, broader culture's representation of games has been utterly terrible. Although the medium is nearing fifty years old, there remains a stigma that games are for children or at the very most man-children. 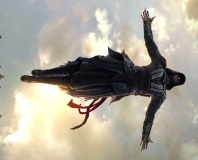 When you see games references in pop-culture, it's either eighties platformers or noughties console shooters. A kid playing a bleepy-bloopy arcade game or a man shooting terrorists while sat on the sofa in his underpants. So when Steven Spielberg takes gaming as the subject of his next film, that's a big deal, the widest-angle lens through which gaming will be exposed to the world. 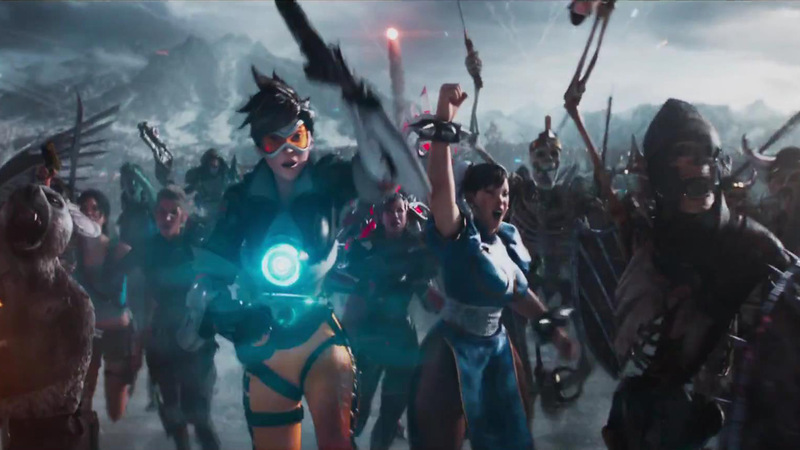 And although Ready Player One's obsessive referencing extends to pop-culture in general (including, weirdly, Spielberg's own films) it is first and foremost a film about video games. Based on the 2011 Ernst Cline sci-fi novel of the same name, Ready Player One takes place in 2045, centring around a teenage boy called Wade Watts. Wade lives in a deprived area of Columbus, Ohio called the Stacks, where caravans are erected atop one-another in makeshift skyscrapers because there isn't enough space for everyone to live on the ground. The wider world, meanwhile, has devolved into a gigantic rubbish-dump. To escape it, most people spend their lives in the OASIS, a massive, all-encompassing VR MMO created by game designer James Halliday, who the film depicts as an amalgam of Steve Jobs and God. At the outset of the film, Halliday is dead and has left behind him a secret in the OASIS which, when discovered, will give its finder the keys to the kingdom. They'll have complete control over the game and the business behind it, and because the OASIS is so fundamentally entwined with society, this essentially means control of the world. Hence everyone from chancing lone wolves to giant, faceless corporations are trying solve the riddles Halliday left in his wake, many of which are concealed in virtual incarnations of Halliday's favourite pop-cultural works. The secret has bamboozled the OASIS players for five years, until Watts stumbles upon the first clue and triggers a mass race to the finish line. 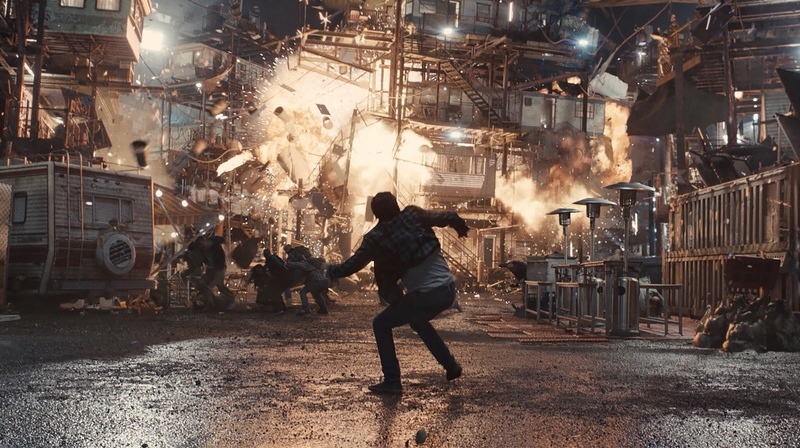 What results from this is a blend of Cyberpunk dystopia and a typical Spielberg escapist adventure, all wrapped within a whirlwind of gaming and general pop-culture nostalgia. It's a strange mix that results in a strange film, one that seems to fall victim to the very same mistakes made by the society it depicts. Wade is one of a group of people known in the OASIS as Gunters, game-slang for Easter-egg hunters. Gunters are essentially self-taught Halliday experts, players who have dedicated their lives to learning about the developer's past, and by proxy about the history of nerd culture and particularly gaming in general. The Gunters also tend to wear this affection for the pop-cultural past on their virtual sleeves. Hence in the game they drive virtual DeLoreans and 1960s Batmobiles, and fight enemies using the Pulse Rifle from Aliens or the Assault Rifle from Halo. Their virtual avatars can be customised to look like anything from Beetlejuice to Mortal Kombat's Goro. The result of this is a blizzard of video game and eighties iconography, which are used by Spielberg with varying degrees of significance and to varying degrees of success. Personally, I'm not one to get much of a kick about seeing a character or object from one cultural work given a cameo in another, at least not when it's so obvious and incessant as in Ready Player One. 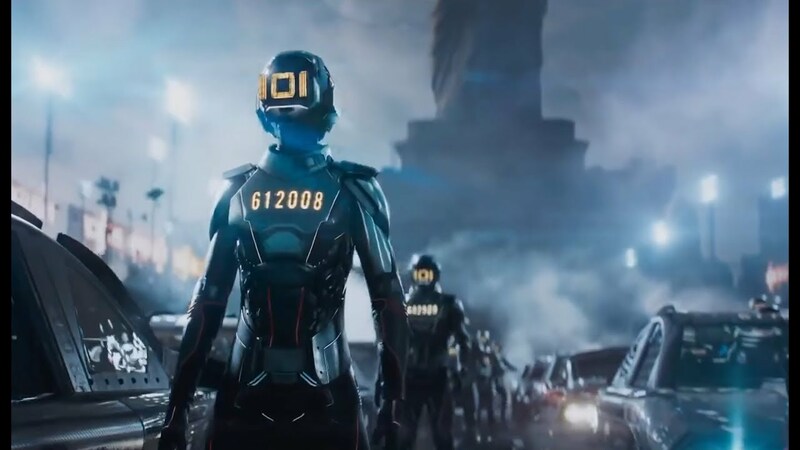 It doesn't take much creative energy to throw together a bunch of pop-cultural references in CG, although I imagine the legal side of Ready Player One must have been quite the project. That said, I did laugh at a couple of the more unexpected cameos, and the areas where the film particularly lingers, such as Stanley Kubrick's The Shining and the 1980 game Adventure, do feel like there's more to them than simply, 'Remember THIS?'. The film is astonishingly ugly though, and I think it might have benefited from OASIS being given a more stylized aesthetic rather than just pseudo-realistic CG. The references become particularly intolerable when characters are bragging about their own pop-cultural knowledge, or even worse, challenging each other to what basically amount to Remembering Contests. Frankly, though, I don't think the film's referential nature is either its greatest strength or its greatest weakness. Beneath all the gaudy fandom is a genuinely interesting concept. An increasingly dystopian future that buries its head in the sand of a pop-cultural past? That's more scarily relevant than I like to imagine, and the film presents that future in quite a believable way. The idea of virtual currency becoming inextricably intertwined with the actual economy is pretty timely (a nice touch is how all the virtual avatars bleed coins when wounded), while the film also conveys both the hypnotic magic and the embarrassing reality of using VR equipment. When fully dressed in their haptic bodysuits, gawping slackjawed into a pair of VR goggles, the characters look completely ridiculous, which is exactly what you look like when messing around in a modern VR headset. Unfortunately, the script doesn't have either the depth or the subtlety to sufficiently explore its own concept. Beyond the caravan-skyscrapers of the Stacks and the sleekly bland offices of the IOI Corporation, we see little of the world that has apparently been ravaged by economic and environmental disasters. Speaking of the EVIL IOI corporation, they are precisely that, a one-dimensional baddie whose masterplan to use the OASIS to sell advertising is put to us in such a ludicrously unsubtle way that it verges on pantomime. The characters are also resolutely archetypal, which one might argue isn't entirely out-of-sync with a film fundamentally about avatars. Wade is a rather shy and mousy teenage boy whose OASIS avatar Parzival arguably has more personality than he does. Artemis, meanwhile, is a bog-standard Strong Female Character who is nonetheless unable to escape Hollywood's romantic tractor-beam. There are a few good jokes, mostly from IOI's hulking hired gun Zandor, but there's equally some utterly terrible dialogue. Characters spend a lot of time talking plot to one another and feel the need to explain even the film's most basic technological concepts. There are also some excruciating romantic scenes, although I can't figure out if I found them awkward because they're poorly written or just because I'm a weary thirtysomething who can't think about his own teenage romantic life without wincing. Ultimately, though, Ready Player One is too in love with the past to say much of significance about the future, a problem that it wrestles with right up to its trite and confused conclusion. I like the setting and I like some of the ideas it presents, but the film never quite manages to reconcile those future concepts with the adventure story it wants to tell, and the mountain of cultural references mainly serve to exacerbate the messy, overindulgent feel. 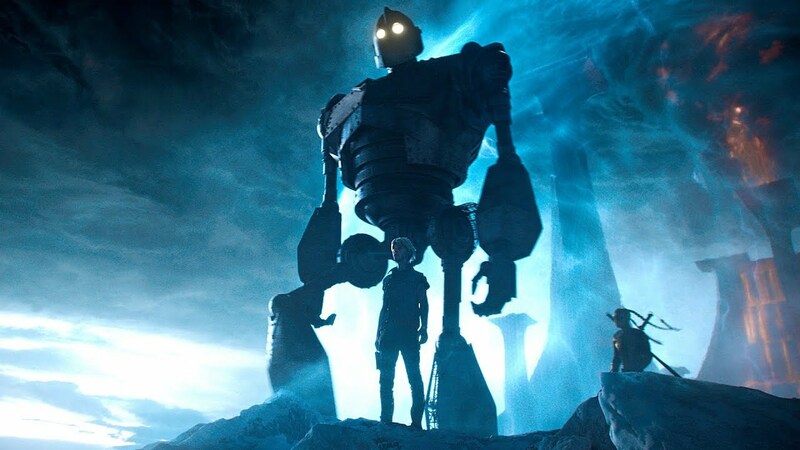 Mostly, though, Ready Player One demonstrates the value of original work, and that relying on the ideas of yesteryear can only get you so far.